Our 6" Suspension systems for the T900 platform uses our industry leading crossmember and spindle technology. 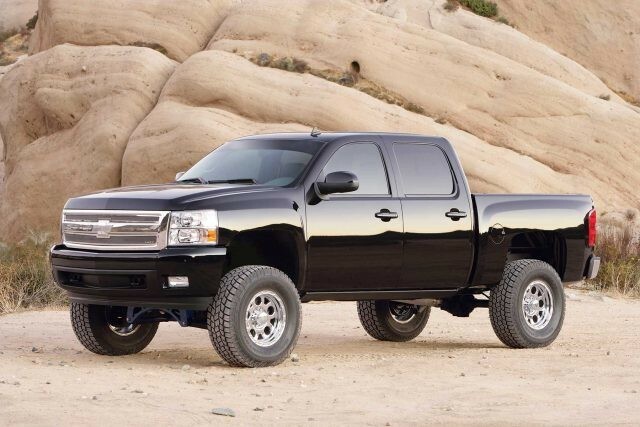 Fabtech pushes the envelope with superior ride height to properly clear 35" tall tires. Extensive design work was given to the extended length steering knuckles to keep the track width near stock with superior turning radius for maneuverability in tight spots. 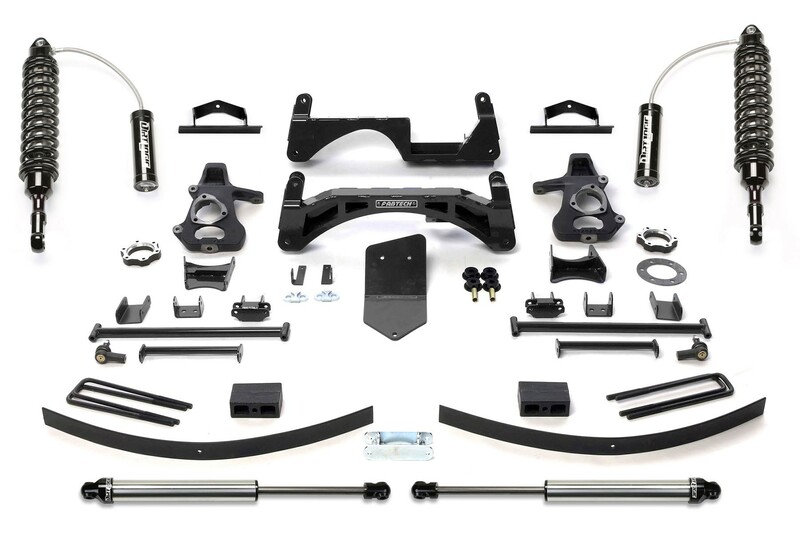 Lower control arm crossmembers are strengthened with cross tubes backed up by tubular frame struts to distribute front suspension impact loads. The front differential is protected with a tightly formed 1/4" thick steel skid plate. Rear suspension lift is accomplished via a block and add-a-leaf system. The Performance system offers Dirt Logic 2.5 Shocks in place of the factory front coilover assembly. This system has been properly designed to work with the factory Stabilitrak® safety functions without reprogramming the vehicle’s computer.